Raid Battles in Pokémon are divided into five tiers, each with increasing difficulty. Tier 1 Raids are the easiest and can be soloed by a single Trainer, whereas Tier 5 Raids are most difficult and will generally require the participation of significantly more Trainers. The game will propose a suggested Raid party size, but these suggestions are often drastically overstated. You can certainly defeat a higher tier raid with substantially less Trainers than recommended, provided you utilize optimal Pokémon types and moves. It's important to note that Raid Battles are timed, so with more Trainers you certainly increase your chances of defeating the Pokémon in time. Once a battle begins, you'll have three minutes to beat a Tier 1 to 4 Raid Boss and five minutes to beat a Tier 5. If you fail to defeat the Pokémon before the timer is up, you can create a new lobby and challenge it again, without using another Raid Pass, for as long as the boss is still active. 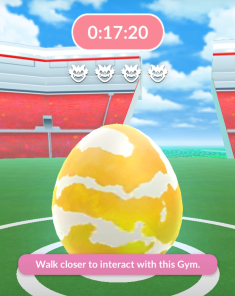 You can determine the difficulty of a Raid Battle by checking out the Egg shown at the Gym. Additionally, Eggs will also display above them a number little, angry Pokémon faces equal to the tier of the raid. Tier 1 and 2 Raids can typically be soloed by the average Trainer level 30 to 40, often even without optimal Pokémon. Tier 3 and 4 Raids offer a bit more challenge and generally require at least 3 to 6 Trainers, depending on the Raid Boss and power of the challenging Pokémon. Tier 5 Raids are significantly difficult, some Raid Bosses more than others, and will typically require 6 to 10 Trainers. Niantic will randomly shuffle the selection of available Raid Bosses, typically with little to no warning, though you'll typically have a few weeks to battle each roster of bosses. If you've got your eye on catching a particularly rare Raid Pokémon, or want to farm Candies, you'll want to get to it sooner rather than later. 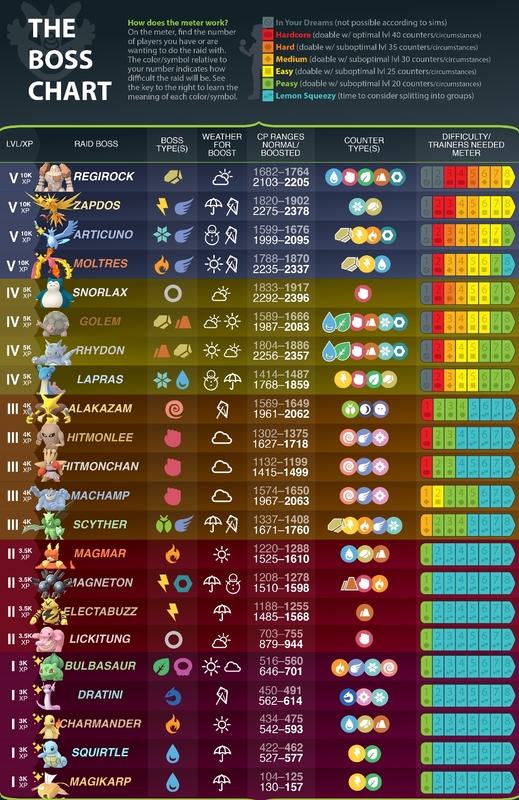 This insanely useful infographic by the talented Trainer yonderkid details pretty much everything you'll need to know about this latest wave of Raid Bosses, including move type efficiency, Boss-specific recommended Trainer numbers, and each Pokémon's weather-boosted CP values (more on that below). Finally, the website PokéBattler offers useful raiding tools, including detailed guides to Raid Boss counters and even battle simulators to help you determine the odds of a successful battle considering your party's Pokémon and moves. EX Raids (Exclusive Raid Battles) function quite differently than normal Raids, offering special, invitation-only battles against rare, Legendary Pokémon. EX Raids occur most frequently at Gyms located in parks and at sponsored Gyms (like your local Sprint store). EX Raids are generally triggered based on activity at a qualifying Gym. 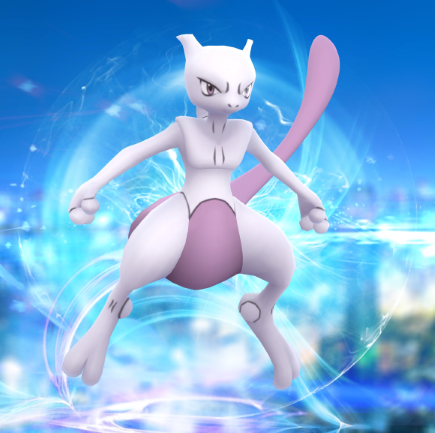 At this time, only one EX Raid boss has been made available, the Psychic-type Legendary Pokémon Mewtwo. A Gym’s chances to host an EX Raid Battle will increase the more Trainers defeat other Raid Bosses at that Gym. It can be helpful to join a local Discord server to learn which Gyms in your area have hosted EX Raids in the past, so you’ll know which Gym to focus your efforts on. You can find an interactive map of local Pokémon Go groups here. It doesn’t matter what tier Raid Bosses are defeated, instead considering the overall quantity of Raid Bosses defeated at that Gym over a certain amount of time. To participate in an EX Raid, Trainers will need to acquire an EX Raid Pass. EX Raid Passes are generally awarded once per week to qualifying Trainers. Think of it as a lottery and your activity at Gyms will determine whether or not you’re entered. However, no matter what, there’s still quite a bit of randomness to Niantic’s decision, and not all Trainers who are technically eligible are guaranteed to receive a Pass. It’s not entirely necessary to purchase Premium Raid Passes in order to complete additional Gyms in a week, but it certainly won’t hurt your chances. However, players have reported receiving an EX Raid Pass having participated it only one Raid Battle per day. RNG is RNG! Of course, there is a plethora of speculation and field research being performed by Trainers, typically found on The Silph Road subreddit. Here’s one such helpful thread that hopefully can assist in increasing your chances of receiving an EX Raid Pass. Good luck! It’s important to note that the difficulty of Raid Pokémon will be dynamically adjusted by the current weather. This generally affects Pokémon types and move types similarly to how it works in main series Pokémon games. For example, Fire type moves will do more damage if it’s sunny out. Additionally, if a Raid Pokémon has an affinity for the current weather, it will have higher CP and be a generally more difficult opponent. Weather can also have a negative effect on a Pokémon, making the battle slightly easier. If you manage to defeat a weather-boosted Raid Pokémon, you’ll receive bonus Stardust and, if caught, the Pokémon will be higher level and have higher CP than usual. You can check out a Raid Pokemon's weather-boosted CP in the infographic above.